Who can say No to a “Zasar Legumes”. 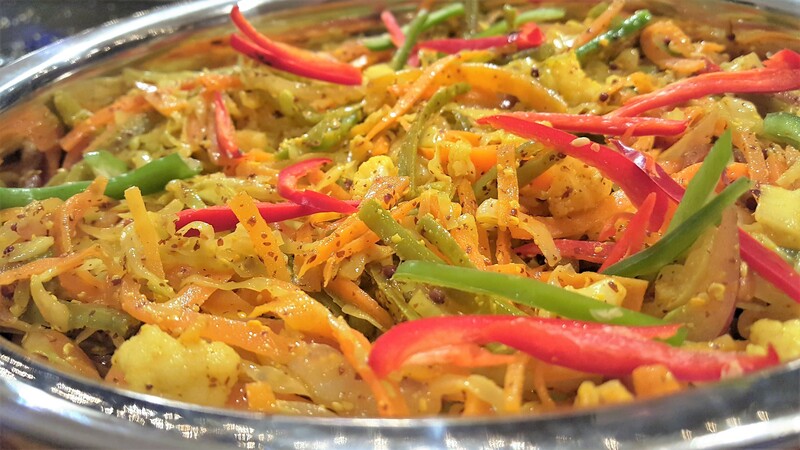 A very popular vegetable pickle with a medley of colours all in one dish. 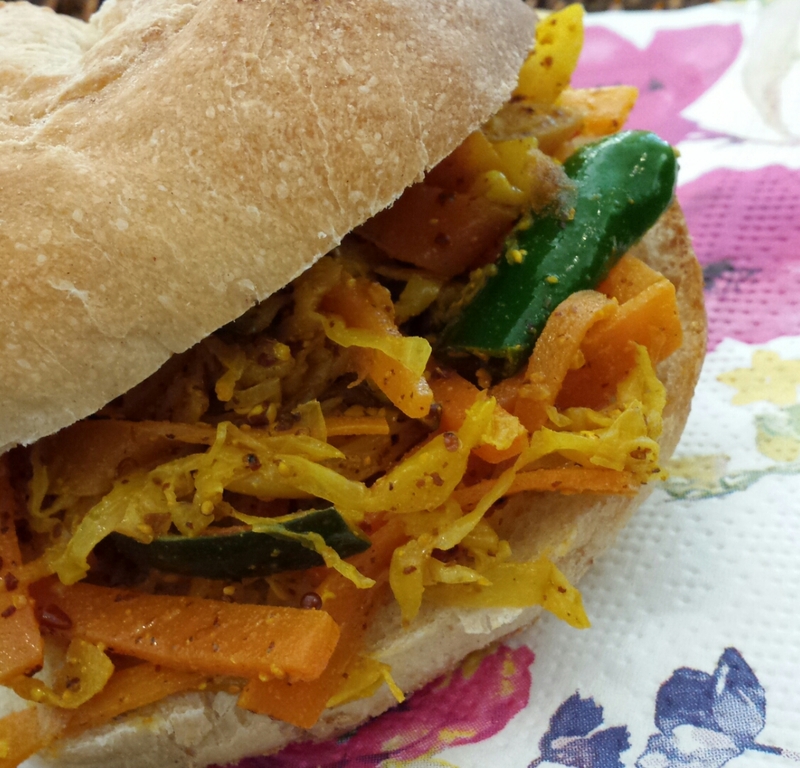 My version is quite simple and quick, it is one that will keep for a few days in the fridge. I don’t overcook my vegetable simple blanche them and add the pickling ingredients to the vegetables. 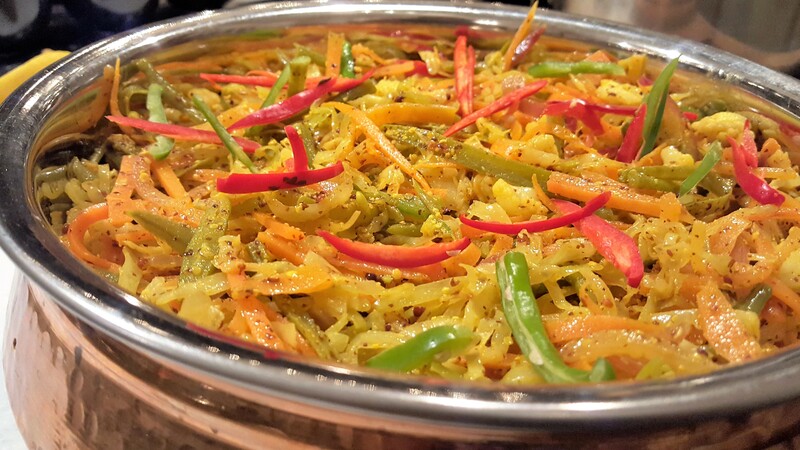 This is a very popular dish in Mauritius served with crusty bread and a perfect vegetarian side dish – spices, vegetable, chillies, fresh taste and colorful little side accompaniments stocked up in the fridge. 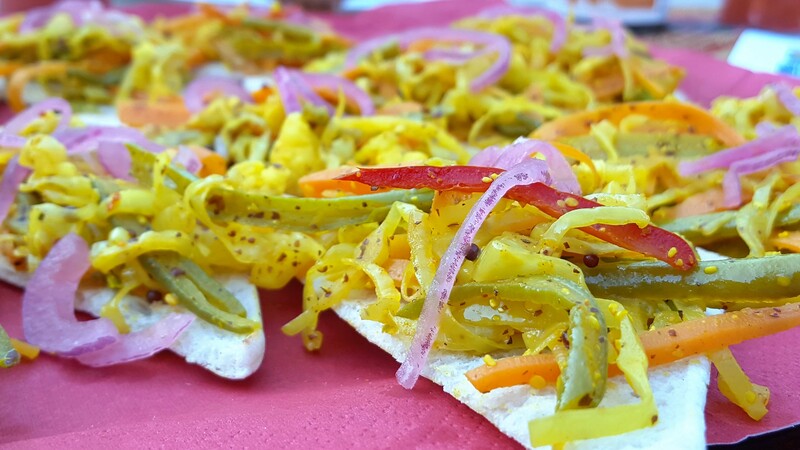 Back in Mauritius this mixed pickle is very popular almost any time of the year, and makes a perfect picnic bread roll filling. Salt – for the pickling and for the spices. Prepare all the vegetables as suggested above. Start by blanching (Blanching means put it hot water for a few minutes until they soften) u them one at a time, starting with carrot, beans followed by cabbage. The reason to do this is simply to semi-cook the vegetable and this helps with the preserving process. Remove from the water drain in a large colander to remove all the water. 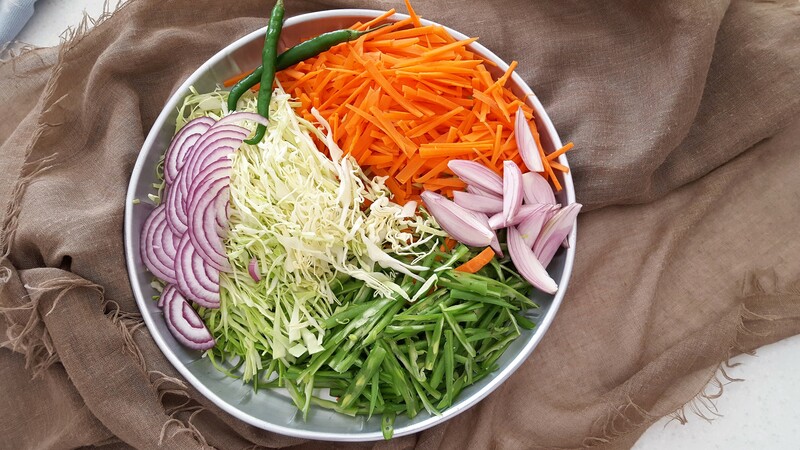 Spread all the drained vegetable on a clean cloth or kitchen towel and leave to dry removing any excess water. Occasionally using a fork spread the vegetable to allow all the vegetable to air dry. Once all excess water have been absorbed on the tea towel start preparing the spices. In a wide pan add oil, once it’s hot add the mustard seeds, curry leaves, Asafoedida, ground fenugreek, turmeric and salt followed by the Kashmir red chilli – the aroma will be intense watch out for the chilli smoke. Add the sliced onions. Turn the heat down or switch off and start to add the vegetables toss well to make sure the spices coat all the vegetables are well mixed. Add the vinegar and the green sliced chillies, taste for seasoning and adjust as necessary. Leave to cool completely. drizzle a little oil. Enjoy with fresh bread. Bon Appetit.